So, I’m typing right now at (apparently) the only Starbucks in Florida, elbow to elbow with about one hundred other people who also seem to be looking for a place to escape this dreary rain. I know you’re just DYING to hear about our rainy camping experiences thus far in Florida but you must wait. First things first. 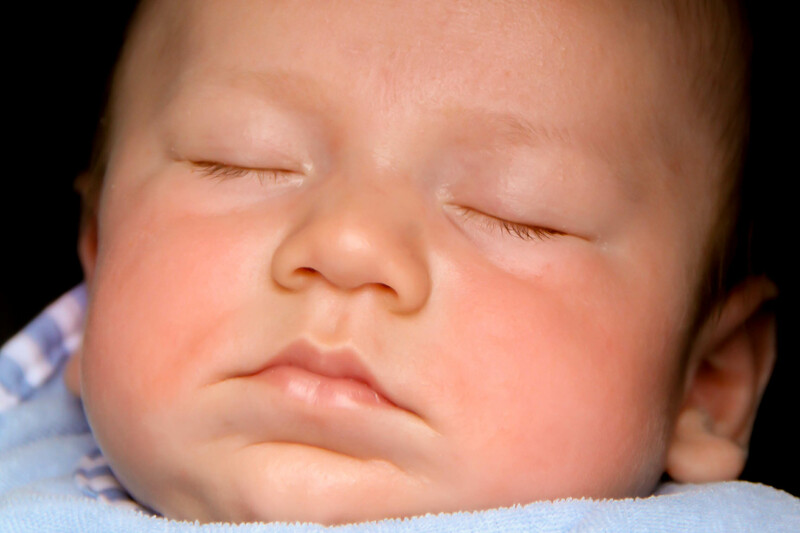 The primary reason we chose to make Atlanta a stop on our trip was to visit my darling friend, Kaci, who recently became a mama to sweet baby Ronan! Kaci and I have been friends for almost fifteen years, and even through several moves and our crazy lives, we’ve been able to stay in touch. She remains so special to me! She’s such a gem. Unfortunately, we only had one day to spend together so we tried to make the most of it, which meant eating as much food as possible. 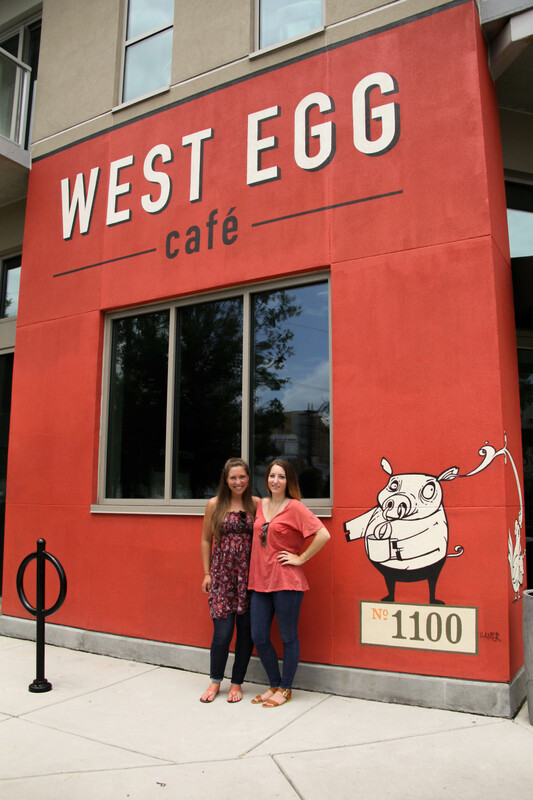 We enjoyed a delicious lunch downtown at the West Egg Café. They make a wonderfully refreshing bev called the Seersucker, consisting of lemonade, gin, basil, and general heavenly goodness. If you’re ever in Atlanta, go to the West Egg!! And please do yourself a favor – order their fried green tomatoes. You will not regret it. After walking around a bit in said inferno, we stopped in for some much needed AC and caffeine at a great little place called Octane. 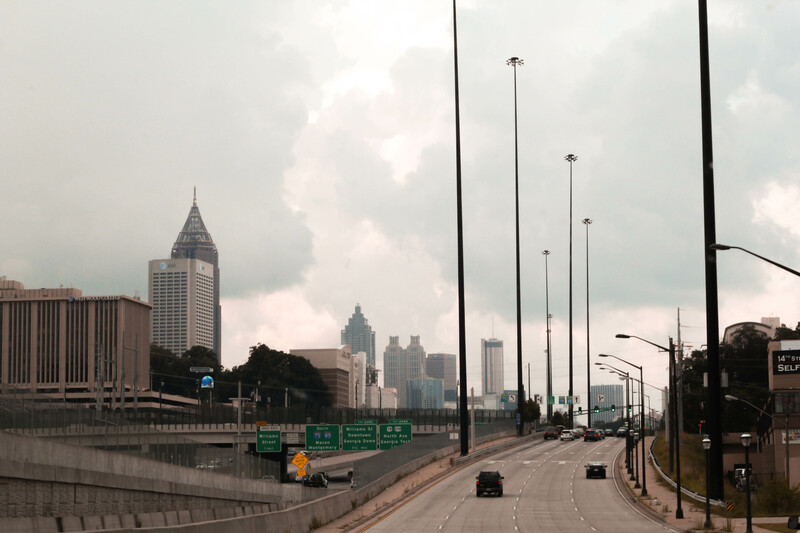 There are a few locations around Atlanta but we visited the one in Midtown, on the Westside. Great atmosphere. Even greater coffee. Definitely a must if you’re in the area and hurting for some delicious energy or a place to surf the web. All in all, we loved our time in Georgia, and I personally can’t wait to see Kaci, Tyler, and Ronan again. We’re so thankful they opened their home to us! Food related post-script: If you happen to be in Ashville, NC, as we were on our way down from the Smoky Mountains to Atlanta, it is absolutely imperative that you visit French Broad Chocolate Lounge. They sell pretty tasty Counter Culture Coffee, but it’s their truffles that really make the day. We conservatively purchased a box of six, after much deliberation, consisting of Earl Grey, Tulsi Holy Basil, Vanilla Bourbon, Orange Fennel, Strawberry Balsamic, and Raspberry. Oh. My. Goodness. Day Whatever, Day Who Knows! !